I have heard my youth pastor play “Fake Plastic Trees” on his acoustic guitar almost as often as “O Come All Ye Faithful”. While trekking through mountains on mission trips, I have discussed David Lynch and various street art documentaries with my Sunday school teachers. Hookah bars and fair-trade, locally run coffee shops were considered perfect places for Bible studies among my old youth group. These are my experiences with “hipster Christianity”, a new breed of religion which has emerged in the face of a changing social and political climate in America. I grew up spending every Sunday morning sitting in a pew. We moved around throughout my childhood, but one of the few constants was my presence in church every week. Despite my parents’ eagerness to raise good Christian children, I had decided by the time I was in middle-school that church wasn’t “my thing” and that I would no longer be attending. This was not unusual; the majority of my classmates did not attend church, and those who did often did so for social reasons. However, something changed my freshman year of high-school. I woke up early on Sunday, pulled on a severely neglected church dress, dusted off my Bible, and went to church. The next Sunday I did the same, and then the next, and then I added Wednesday nights and Thursday nights and Sunday afternoons. Before high-school ended, I was spending almost half of my free time with a Southern Baptist youth group. Though my transition from an angst-ridden, church-criticizing preteen to a regular attendee seems drastic, I attribute my personal change of heart to the intrigue of hipster Christianity. For those who have not personally encountered this phenomenon, I offer up a scene from Spring Breakers (2012) in which Harmony Korine treated us to a glimpse of “cool” Christianity. Korine has presented Christians in an atypical light before, and his portrayal of hipster Christendom in Breakers is especially interesting. Says the youth pastor, played by wrestler Jeff Jarrett, after reading from Corinthians I: “How cool is that? Dudes, how cool is that?” and later, “The swagger is coming all upon us, isn’t it? …are you crazy for Jesus? Are you jacked up on Jesus?”. Though my youth pastor looked more like a preppy Eminem than a frosted-tipped former wrestler, the overall attitude that Korine captures in those few lines rings true. Christianity, cloaked in teen-friendly lingo, rife with teen-friendly messages, and delivered in a teen-friendly format, is becoming more ubiquitous. The change in tone is designed to attract more youth to the church, but, as Christian journalist Brett McCracken points out, hipster Christianity has its pitfalls. McCracken, author of Hipster Christianity: When Church and Cool Collide, has not been silent about his quibbles with this “cool” repackaging of traditional Christianity. He takes issue with the term “hipster”, which does not have the most positive connotations. To many, it is synonymous with elitism, snobbery, emotional distance, and hedonism—not exactly the warm, welcoming image that Christians are supposed to adopt. In addition, the overall image-consciousness of these hip Jesus-followers, obvious through their expensive haircuts and meticulous clothing choices, does not fall in line with the Christian emphasis on humility and rejecting materialism. However, as McCracken points out, these cool church kids are ultimately more focused on cultivating a “strong aesthetic sensibility and intellectual rigor” in regards to Christianity than they are on iPhone updates. They also desire to bring about social and political justice, and many are passionate about environmental issues and protecting God’s green earth. McCracken finds that the surface issues with “hipsterdom” and making Christianity “cool” are outweighed by an emphasis on deepening personal relationships with God while embracing individuality. One of the most successful congregations of modernized Christians is Hillsong Church in New York City. The church is modelled after a highly-successful church of the same name in Australia which boasts 20,000 members. 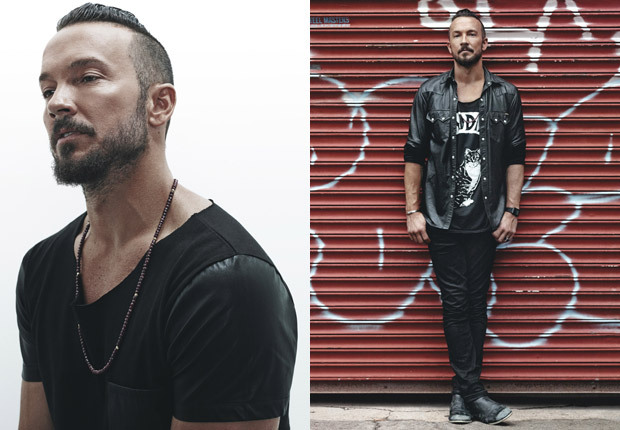 Led by the tattooed and mohawked Pastor Carl Lentz, Hillsong NYC welcomes an average of 6,000 worshippers each Sunday. Among them are Justin Bieber and, though she played a pot-toking, mesh-bikini-wearing murderess in Spring Breakers, Vanessa Hudgens. I have been to Hillsong NYC and witnessed first-hand the awe-inducing sight that is hundreds of teenagers and 20-somethings worshipping Jesus while a band reminiscent of Coldplay booms through the speakers. Even my Sunday school classmate, a perpetually stoned skater kid, filled out a card with his name and phone number, urging Hillsong NYC to send him Scripture verses via text. Though the atmosphere of Hillsong NYC and churches akin to it may seem almost contrived in their coolness, believers like Rebecca Wong insist that “…the real cool factor is grace. That’s something everyone there is striving to understand”. The Hillsong youth minister continues in an NPR interview, arguing that the term “hipster” is applied to this revitalized Christianity only because people “need a word to grasp the freedom that they see in the members”. Whether this reinvigorated, youthful breed of Christianity will keep kids interested in the Bible has yet to be determined. However, one thing is certain: evolving religions are commonplace in American history. An explored theme in Catherine L. Albanese’s America: Religion and Religions is how religions change when faced with new environmental, social, and political climates. She discusses Native American religions, Roman Catholicism, and Judaism in the first three chapters of her book, and how each religion mutated as a result of immigration and increased religious pluralism in America. It should not be surprising, then, that American Christianity is evolving as the nation becomes increasingly politically secular, technology-driven, and youth-oriented. I, for one, am a non-Christian who is very much “jacked-up on Jesus” and eagerly anticipating the future of Christianity in America. Edit: In response to a few questions posed by nmgreenfield in the comment section: I believe being “hipster” means making a conscious decision to behave a certain way/adopt a certain aesthetic in order to appear young, hip, and cool. In my experience, most churches and religious organizations have to make an effort to appeal to young people. I myself have been involved in youth councils where our only task is to make Christianity “cool”! I have found that many churches emphasize numbers (attendance, congregation size, donations to date) on their websites and in their Sunday pamphlets, so I would say that is how many churches measure success. I personally feel that a small congregation with deep faith is more desirable than a large one that is attracted to the religion based solely on their gimmicks. However, I may be in the minority. I think it differs from church to church. Hillsong NYC seems to combine genuine faith with mass appeal, which is somewhat rare. However, their pastor, Lentz, refuses to address tough issues like homosexuality, and I can only assume that is because it would tarnish the youthful and progressive image of the church. This causes me to question whether image is more important than message. I will say I was happy to find that Wong quote, about the term “hipster” being used as an abbreviated description for what is a more complex situation. In many ways I feel that it is a perfect description. In others, I think it cheapens a very powerful congregation. As for your question about this being a true phenomenon, a reiteration, or a reappropriation…I am unsure. I feel that smaller but similar waves have been made in the past, but that change is happening in a big way right now. I am from Nashville, and I can’t count on both hands the number of youth-oriented, hip churches and church programs that have just begun within the past few years. Thank you for your comment!